Natasha Makhijani holds a Bachelor of Music from the San Francisco Conservatory of Music and a Master of Music from the Eastman School of Music. Her principal teachers include Bettina Mussumeli, Zvi Zeitlin, and Charles Castleman. Natasha has appeared as concertmaster and assistant concertmaster of numerous orchestras, including those of the San Francisco Conservatory of Music, the Eastman School of Music, and the Eastern and Las Vegas Music Festivals. She appeared as assistant concertmaster and soloist with the National Repertory Orchestra and while at Eastman she was invited to be a member of the Graduate Chamber Music Society. Currently residing in San Francisco, Natasha is in demand throughout the Bay Area as a performer and a teacher, having appeared in such diverse venues as Davies Symphony Hall, the Palace of the Legion of Honor, and the Independent, as well as nationally and internationally as a chamber musician. 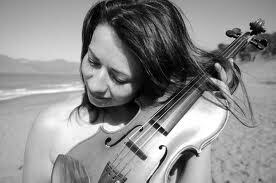 She is a member of the Sacramento Philharmonic Orchestra, the Monterey Symphony, and the Magik*Magik Orchestra. Equally dedicated to teaching as she is to performing, Natasha has held teaching positions at the Eastman School of Music, and is on the faculty of the San Domenico School Music Conservatory, Crowden’s CCMC, and the Nueva School.